This is the original Jersey Giant developed in New Jersey in the late 19th century by crossing several of the large, dark Asiatic breeds. 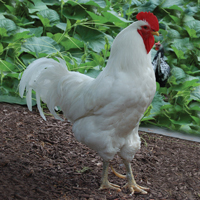 With the straight red comb and tremendous size it makes an unusually handsome variety for exhibition. 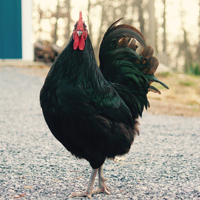 Hens are good layers of brown eggs and especially persistent through cold weather.